Suitable for 152QMI or 157QMJengines, when people want to power their engine, it's necessary to replace the cylinder kit and cylinder head.This is 152QMI 157QMJ 150cc cylinder kit cylinder head , 57mm, or we can do if you have other requirements for the size of bore. GY6 152QMI 157QMJ is one of the most universal engine around the world. 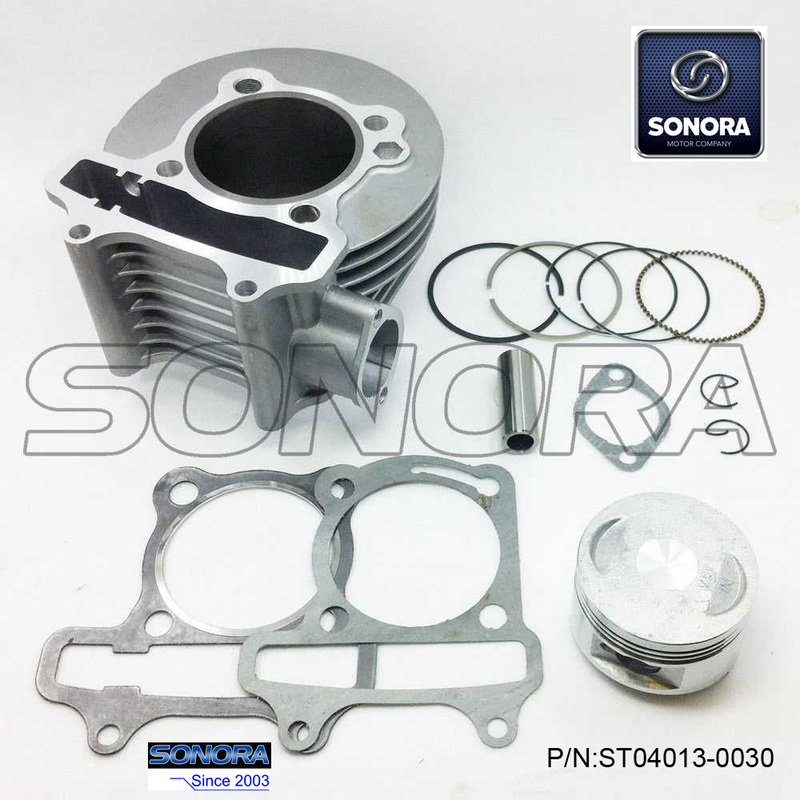 And its replacement parts are very easy to find, and Sonora Motor can assure you with price efficient and good quality GY6 152QMI 157QMJ cylinder kit. People can replace the engine parts so that to power the bike to its best performance.We recommend sports exhausts to go with it. An original high-end carburetor is not necessary, but you will definitely increase performance by adding a bigger size carburetor. The Main Jet has to be adjusted accordingly. Now Sonora Motors are supplying good quality GY6 parts at a very competitive price, also supplying good quality various brands of scooter and motorcycle parts, such as Crankshaft Crank Shaft, Clutch & Driven Pulley, Variator & Front Drive Pulley, Cylinder Kit, Starter Motor, etc. If there are some dimensions or photos for this GY6 152QMI 157QMJ Cylinder you require, please feel free to contact us,we'll answer you in one working days or even sooner. Looking for ideal GY6 152QMI Cylinder Kit Manufacturer & supplier ? We have a wide selection at great prices to help you get creative. All the GY6 157QMJ Cylinder Kit are quality guaranteed. We are China Origin Factory of GY6 150cc Cylinder Kit. If you have any question, please feel free to contact us.